Strike stealthily once more as Metal Gear solid HD Collection comes to the PlayStation Vita. 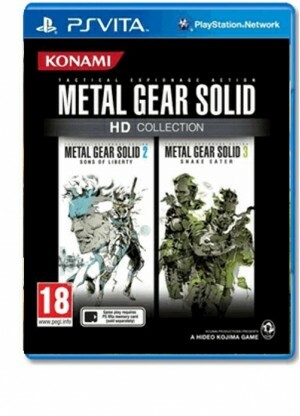 Hideo Kojima's classic Metal Gear Solid 2: Sons of Liberty and Metal Gear Solid 3: Snake Eater titles have been specially upgraded for the PS Vita, featuring remastered graphics from the original PlayStation2 releases, and optimised controls designed to take full advantage of the PlayStation Vita's touchscreen capabilities. In addition to the visual upgrades, both titles include Transfarring, where players can start the action right where they left off as they transfer saved-data back and forth from the PlayStation 3 version of Metal Gear Solid HD Collection to their PlayStation Vita version.